On a beautiful morning on the western coast of Italy, I had this little harbor all to myself for a few moments. 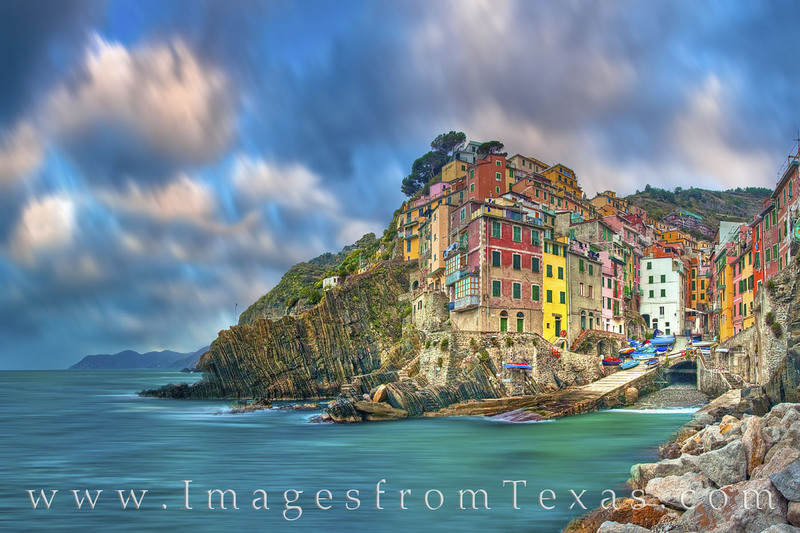 The pastel colors of Riomaggiore, a small fishing village in the Cinque Terre on the Ligurian coast, serve to show the fishermen where their houses are while out at sea. I’ve had the wonderful experience of staying with Edi in one of his apartments multiple times. On this trip, our room was on the second floor of the bright yellow building to the left of the harbor.